Nicolla has over 8 years experience in the customer service and administration industries and has a strong passion for helping people from all walks of life. 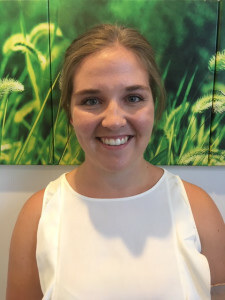 Prior to her current role Nicolla has spent a year in Canada working as an Au Pair and traveling and since her return to Melbourne she is thrilled to have earned a role in the administration team with DS Psychology Group where she can continue her dedication to helping people. Nicolla is passionate about the health industry, hoping to learn and grow in the role as she moves forward in making a difference in the community. Nicolla is hard working, friendly, and caring and aims to ensure clients questions and concerns are met. She aims to allocate clients to psychologists who are appropriate for their needs and for clients to have a welcoming and comfortable experience at DS Psychology Group. In her spare time she enjoys health and fitness, socialising with friends and family and watching movies.